It looks like we can load LUTS into the Shogun.... that's going to be really useful. "With a calibrated monitor the most important aspect of ensuring you capture the exact look, feel and color emotion is with the ability to apply standard or custom 3D LUT’s. 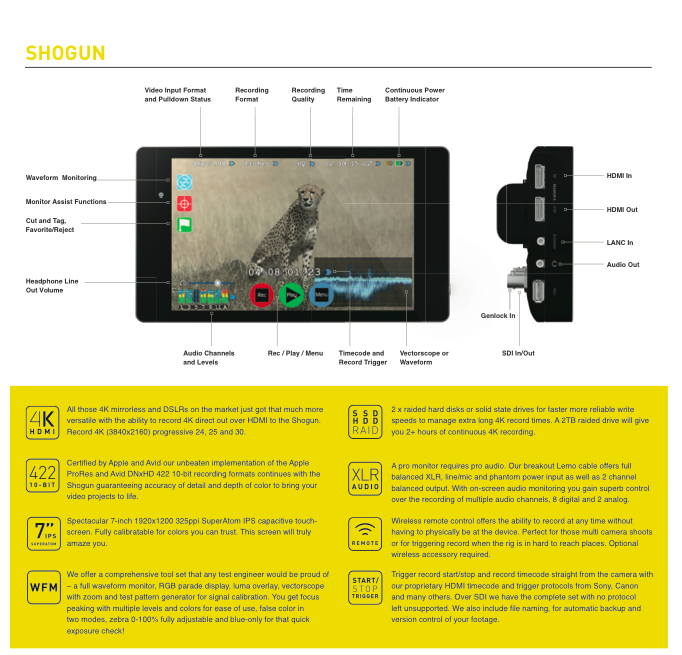 The Shogun provides complete customisation and flexibility to ensure you always get what you want when it matters - at the time you shoot." 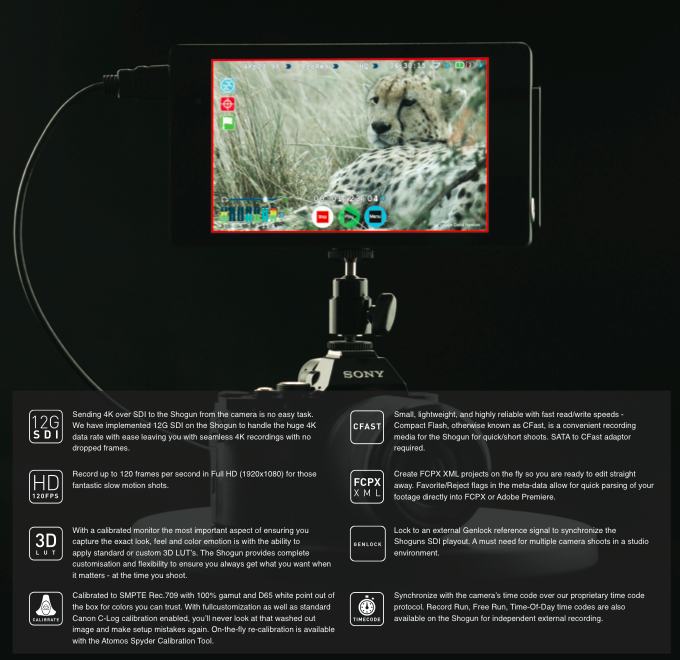 This has to be a killer product.. especially when you pair it with either the new Sony A7S or the Lumix GH4... but it's also a massive improvement over any 4K solution i've ever seen. 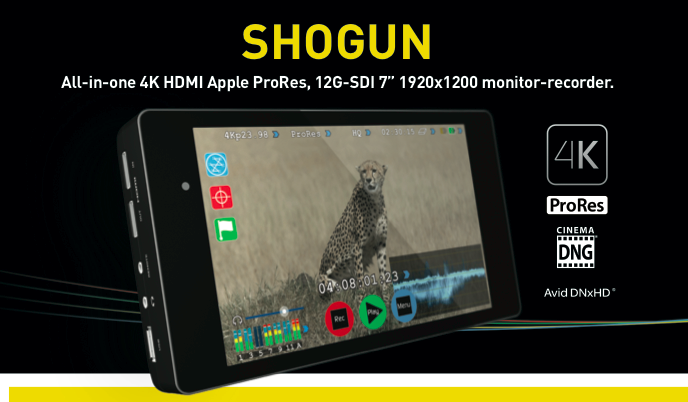 I can see the Shogun taking it's place alongside any of the new crop of 4K cameras out there. It gives us what we want - ProResHQ at 4K and Cinema DNG.... the best of both worlds with no daft licenses to buy or hire like with the Odyssey 7Q.. not to mention the cheaper media, the better screen... the list goes on. 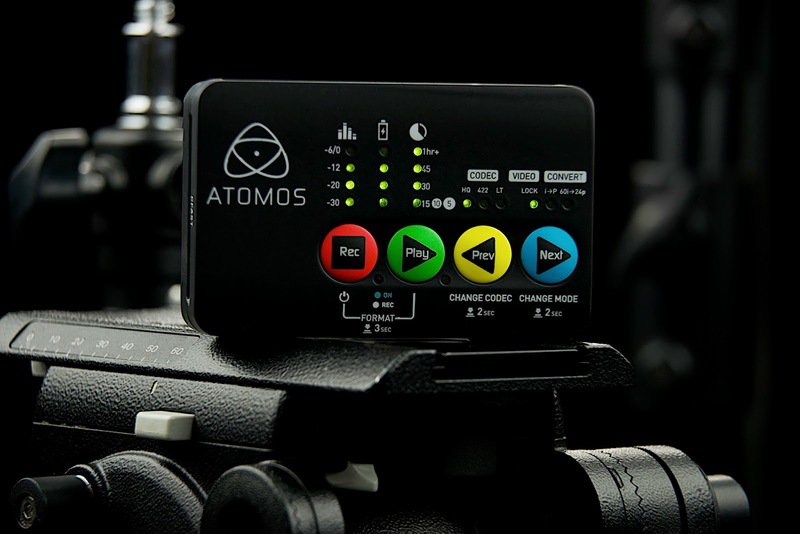 Nice one Atomos. 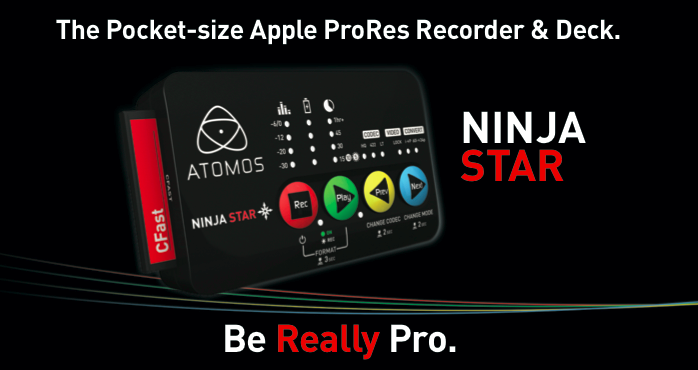 Makes me very happy i'm already in the Atomos workflow... the next feature will definitely be using the Shogun. 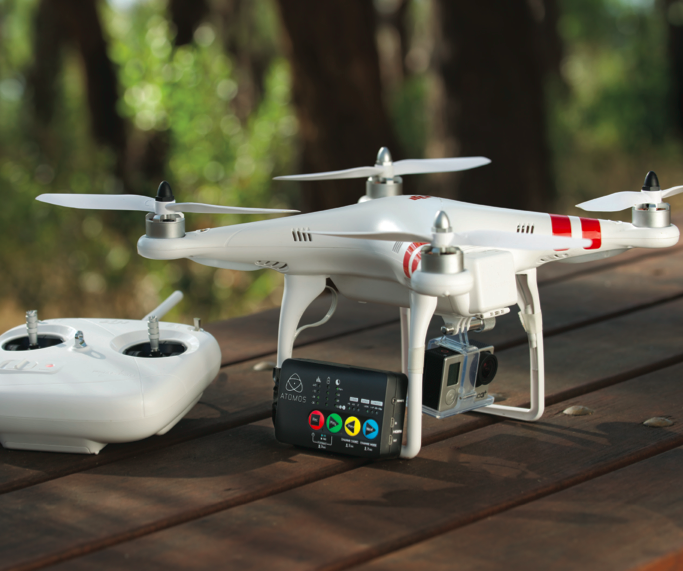 No one has addressed the growing market for drones as far as ProRes recorders go. 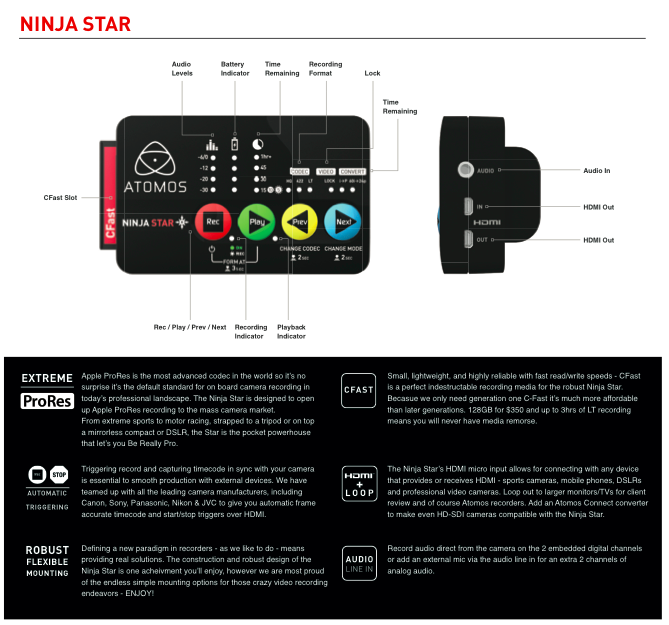 Atomos have taken their Ninja and shrunk it to make it the perfect product for Drones and other action-cam type situations. You can mount these things on your head alongside a GoPro now... that's exiting. Shogun Review? The Shogun is going to be epic i think - please do a video on it.